Would you like to give your garden the tropical hardwood look without worrying about deck maintenance or your impact on the environment? 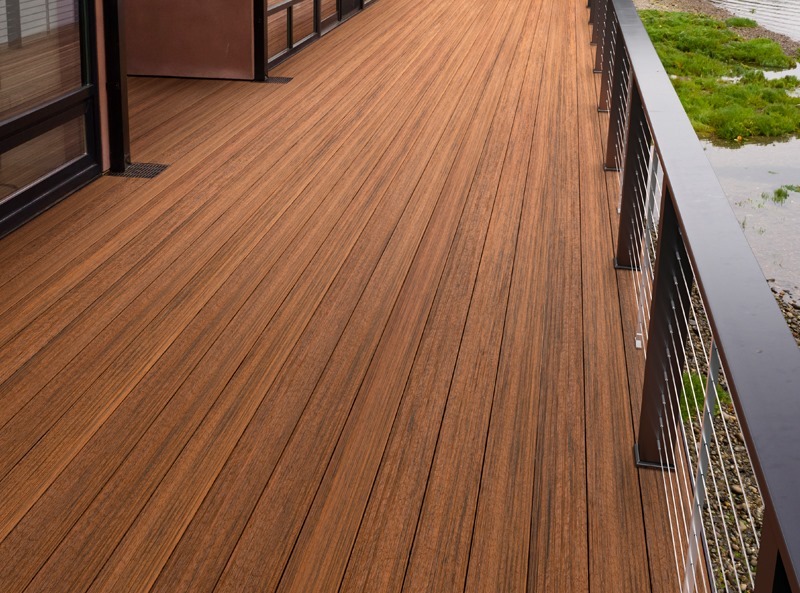 If so, our EasyClean Tropical Teak capped composite decking is the perfect choice for you. These beautiful teak-effect boards have a grained texture that closely emulates the look and feel of real teak decking, but since they’re made of recycled wood and polymer, they’re kinder to the Earth and much easier to take care of. 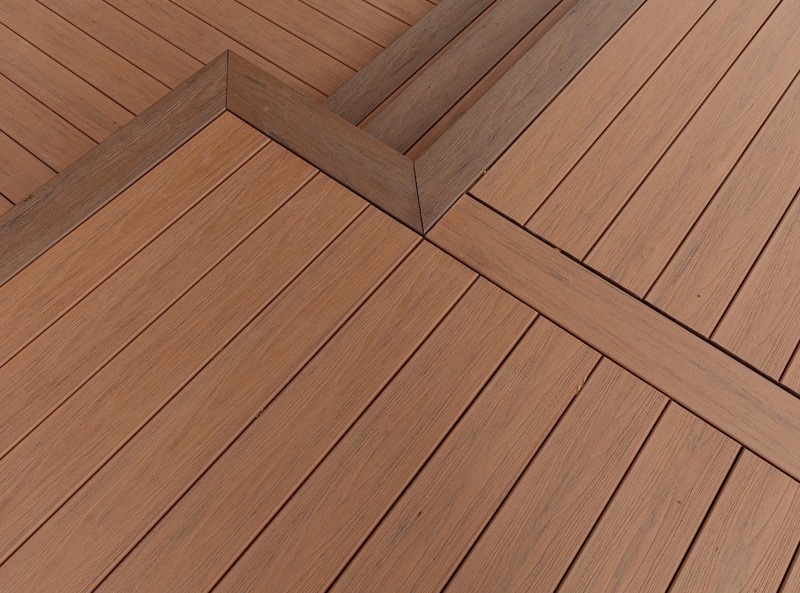 Our teak composite decking is part of TimberTech’s popular EasyClean Tropical range. 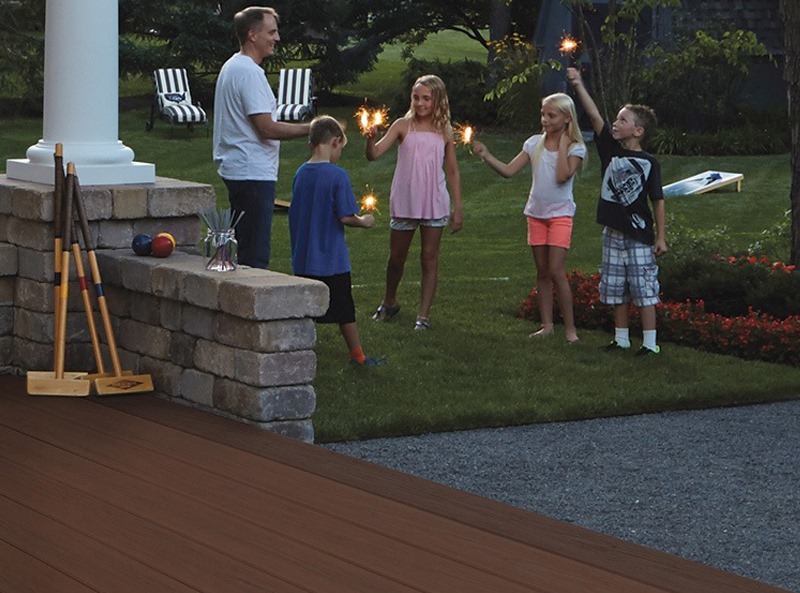 These capped decking products come with a fully protective polymer sleeve that allows moisture and spills to be wiped away without leaving a trace. This feature means that EasyClean Tropical Teak is the perfect choice for anyone who’s worried about making a mess and staining their beautiful garden deck! 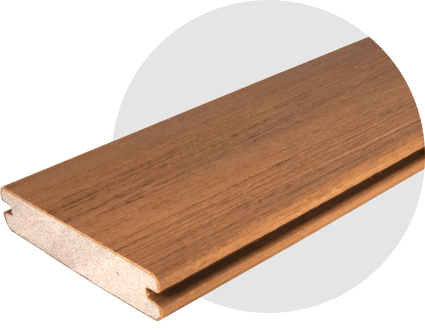 If you’d like to take a closer look at our teak composite decking, please click here to order your free TimberTech sample pack*. Alternatively, contact us now to discuss your requirements in detail. 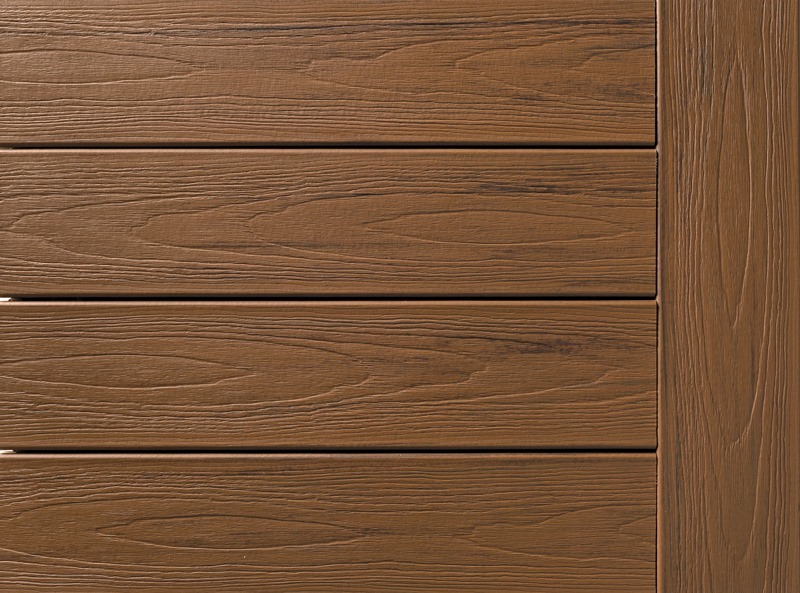 *Note: While your free sample will give you a good impression of how the EasyClean Tropical Teak decking looks and feels, it may not give you an accurate impression of the varied shades/colours present in this product. Please visit our Gallery to see how our EasyClean Tropical decking looks in situ. Be sure to take a look at TimberTech’s railing and balustrade glass balustrades and composite railing systems to choose from.
" Dimitar was really helpful in terms of his product knowledge and service. Pleased with the look of the decking. One area to improve is if on installation the base is dug out, membrane laid and graveled as currently a sheet of membrane laid over grass causes the grass to come through the decking until the grass dies off. Overall really pleased."